GAROWE, Puntland - Elders, Intellectuals and Politicians under Puntland salvation association held meeting in the state capital, Garowe on Thursday discussing the current situation of the region, and the upcoming Presidential election in 2019, Garowe Online reports. Following their meeting, the participants in the forum have released statement, criticizing the current Puntland government for failure to deal with the increasing security threats and the economic crises. 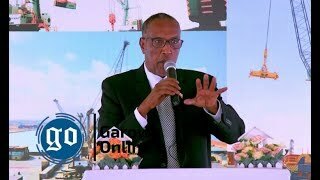 They slammed the state President, Abdiweli Mohamed Ali "Gaas" for lax in his promises, and have strongly opposed his recent decision to side with Saudi Arabia and United Arab Emirates against Qatar and hailed Federal government's neutral position on the Gulf crises. 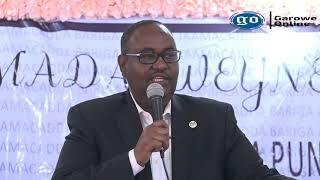 Former Puntland AIDS Commission head, Abdirahman Sa'ed "Dhagaweyne", who read the press release to the Media, said President Ali's travelled to Bosaso by plane, showing the insecurity of the region. 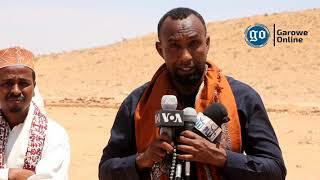 The panelists blamed the government for not offering condolences to the families who lost their loved ones in the recent Al shabaab attacks in Af Urur, located in Bari region, 100Km south of Bosaso town. 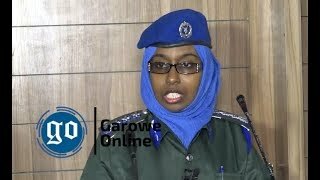 They said Al shabaab prisoners captured during Suuj and Garmal battle are being kept at high-profile hotels in Garowe, while the security forces who died or injured in the operation were not remembered, and their children had been neglected. 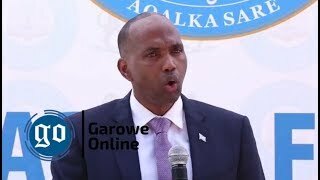 Ali's administration is under fire and has been sharply criticized for its "collective failure" to respond to the security threats facing Puntland, following series of terror attacks against state forces by Al shabaab. 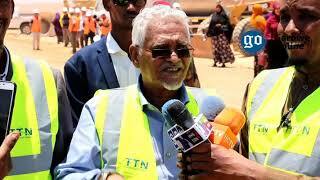 Lack of government salaries to the security forces is considered major contributor to the security failure in Puntland. The forces have protested in several occasions over lack of entitlements for many months.